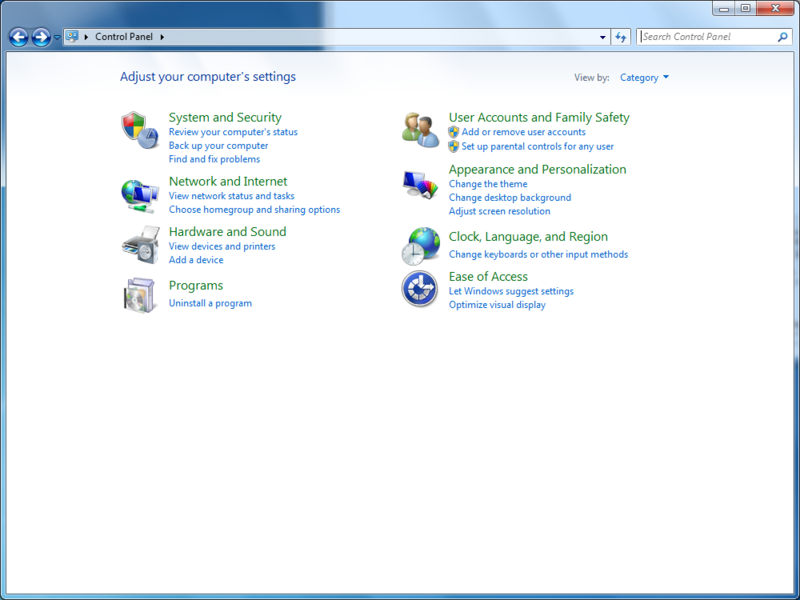 Open the Control Panel and click Network and Internet. 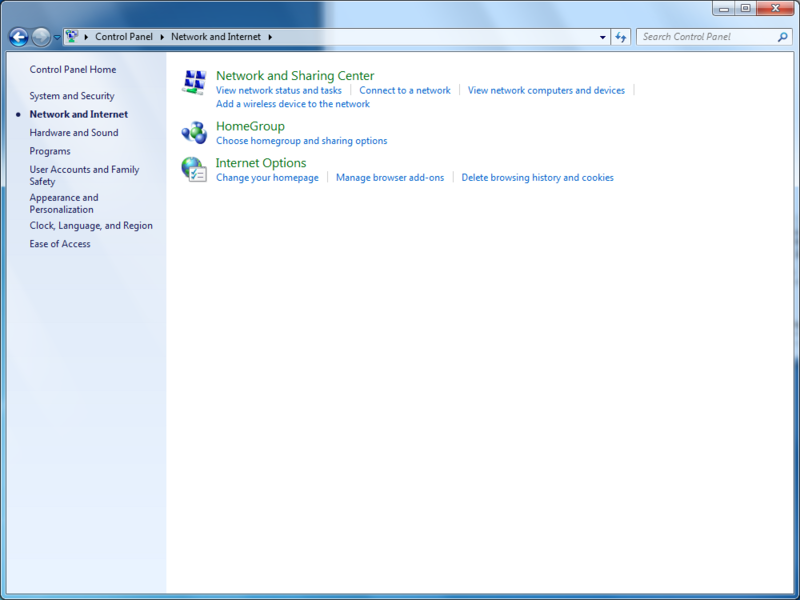 In Network and Internet, click on Network and Sharing Center. 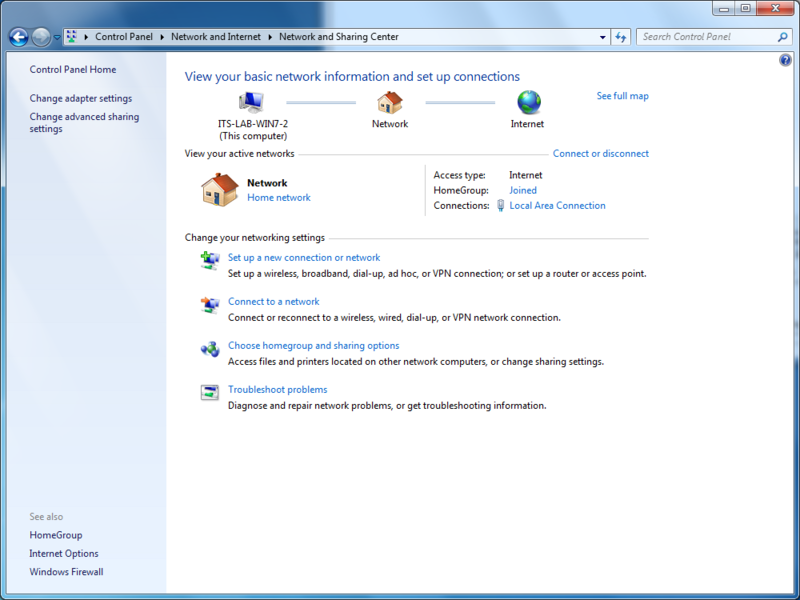 .In Network and Sharing Center, click on Set up a new connection or network. 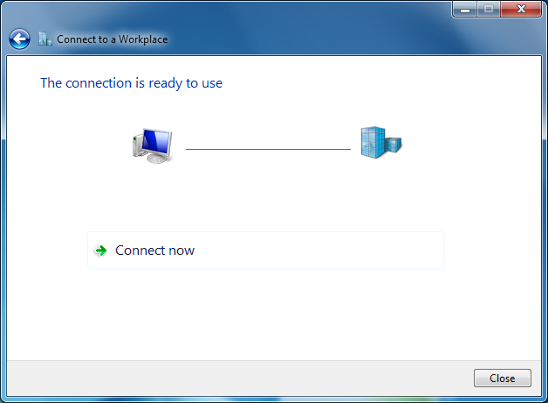 .In Set Up a Connection or Network, select Connect to a workplace and click Next. 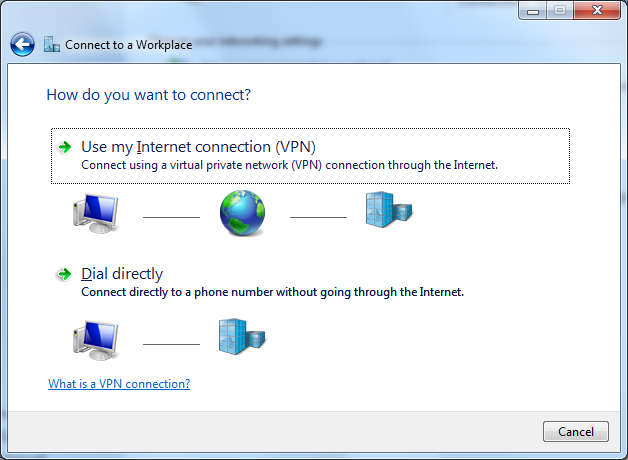 In Connect to a Workplace, click Use my Internet connection (VPN). 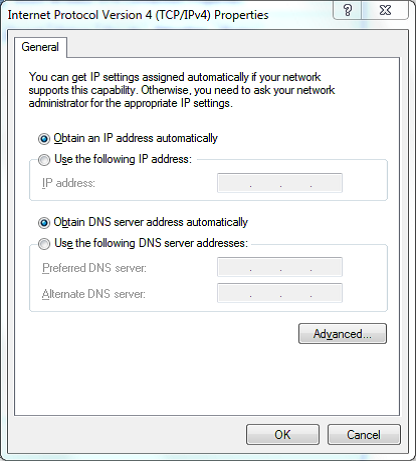 In the Internet address field, enter vpn.wyless.net. In the Destination name field, enter a name that you will remember such as Bosch Wireless VPN Connection. Uncheck Use a smart card, check Allow other people to use this connection, and check Don’t connect now; just set it up so I can connect later and click Next. 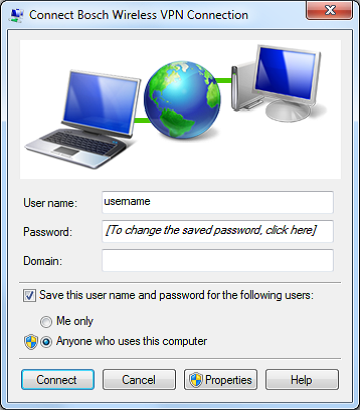 In the User name and Password fields enter the User name and Password (supplied by Wyless after the registration process), check Remember the password so that the password will be saved for the next login and any other users, and click Create. 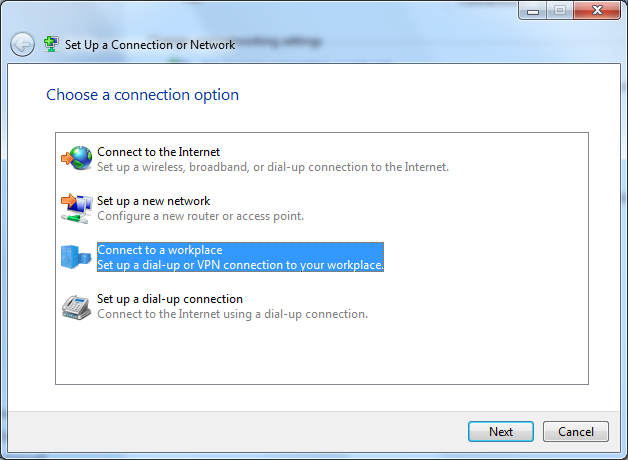 In the Network and Sharing Center, click Change adapter settings to open the Network Connections dialog. 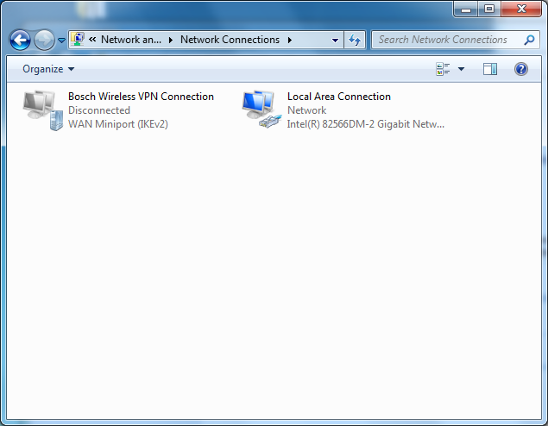 Right-click on Bosch Wireless VPN Connection and click Properties. 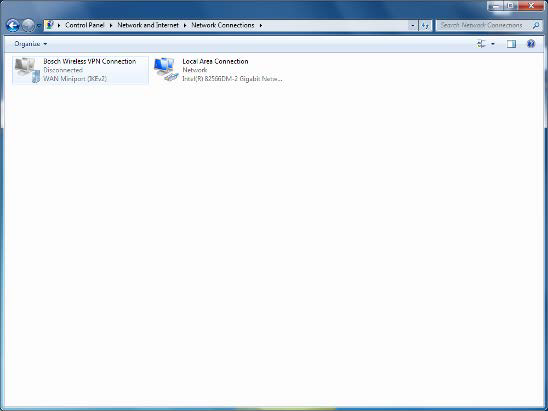 In the Bosch Wireless VPN Connection Properties click on the Networking tab. 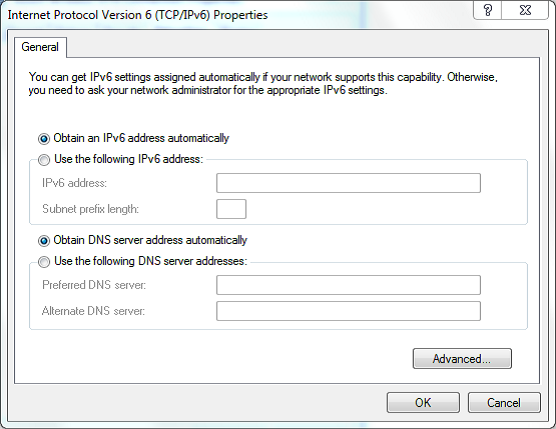 In the Networking tab select Internet Protocol Version 6 (TCP/IPv6) and click Properties. 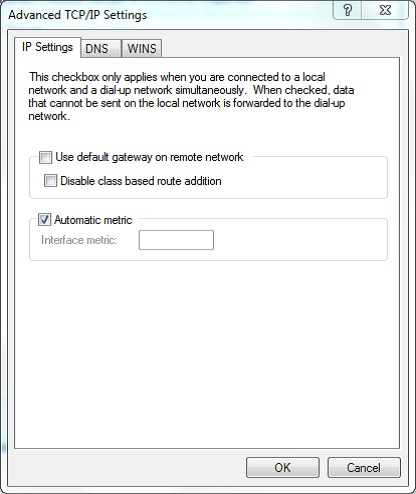 In the Advanced TCP/IP Settings uncheck the box Use default gateway on remote network and click OK two times to return to the Bosch Wireless VPN Connection Properties. 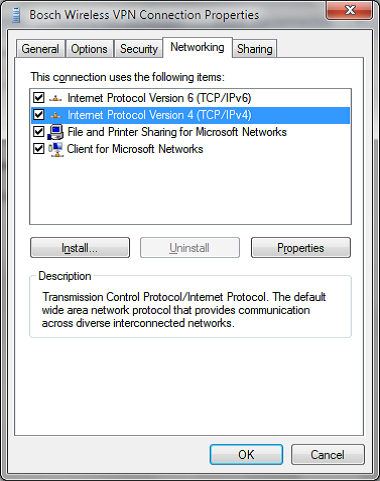 In the Networking tab select Internet Protocol Version 4 (TCP/IPv4) and click Properties. 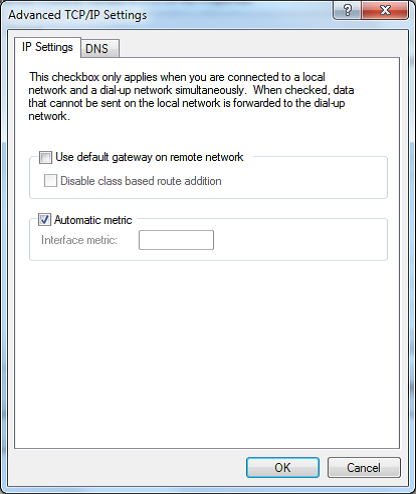 In the Advanced TCP/IP Settings uncheck the box Use default gateway on remote network and click OK three times to return to the Network Connections dialog. 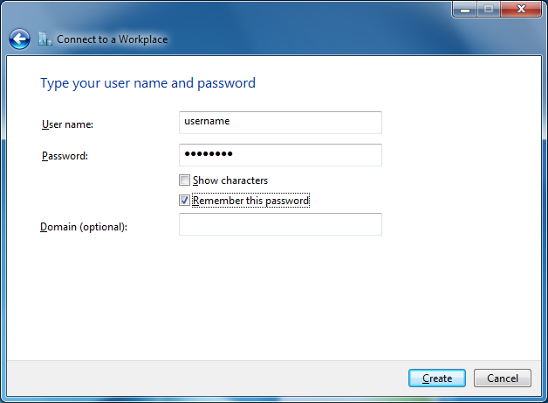 At the Network Connections dialog, if the User name and Password were correctly entered previously, click on Connect. 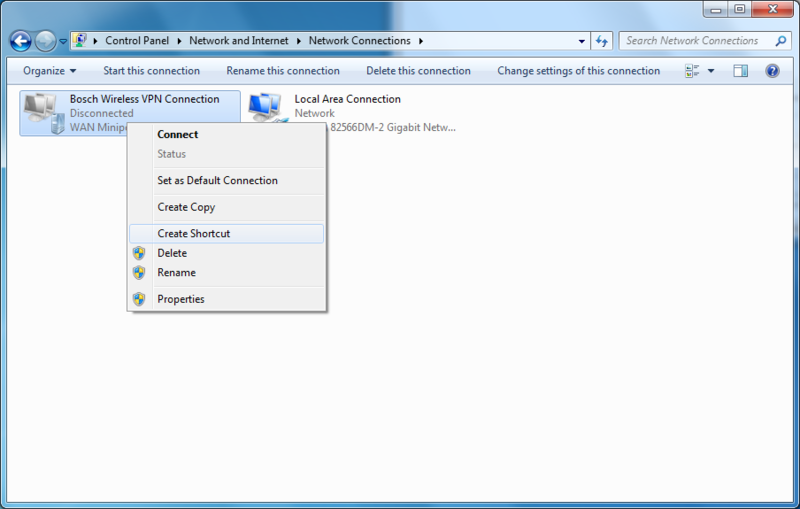 While you are connected, the connection state will be visible in the Network Connections window and in the System Tray. 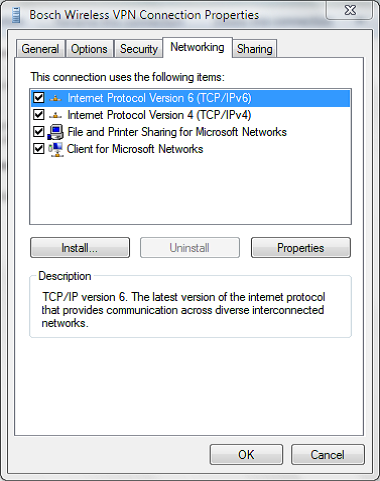 When you are done using the VPN connection, be sure that you disconnect from the network. 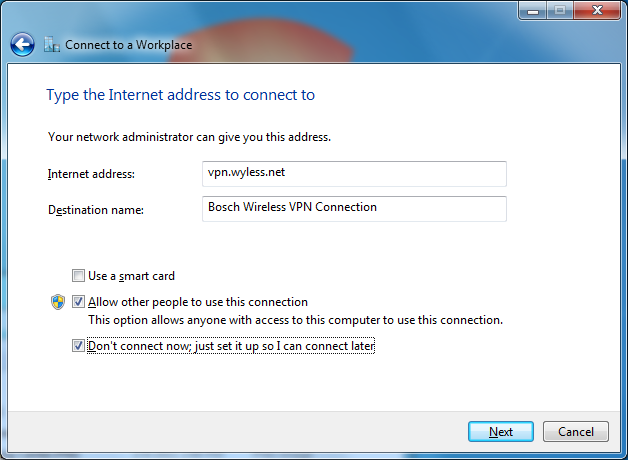 To create a shortcut on the desktop to the Bosch Wireless VPN Connection, open the Control Panel, click Network and Internet, click Network and Sharing Center, click Change adapter settings, right-click on Bosch Wireless VPN Connection and select Create Shortcut, and click Yes on the Shortcut dialog asking if you want to place it on the desktop.